Congrats! on two more wonderful quilts for CiL. Those two quilts will surely be loved by 2 recipients. It's so warming to hear about contributors to CiL & that's what makes this all so possible. Thanks Kat, for your foresight in starting this wonderful cause for grieving families. It's not easy to start & grow a charity like this & I really appreciate you & your efforts & all who have helped you along the way. Love all the quilts. I am fascinated by how well random scraps can be so warming, soothing, and cozy. 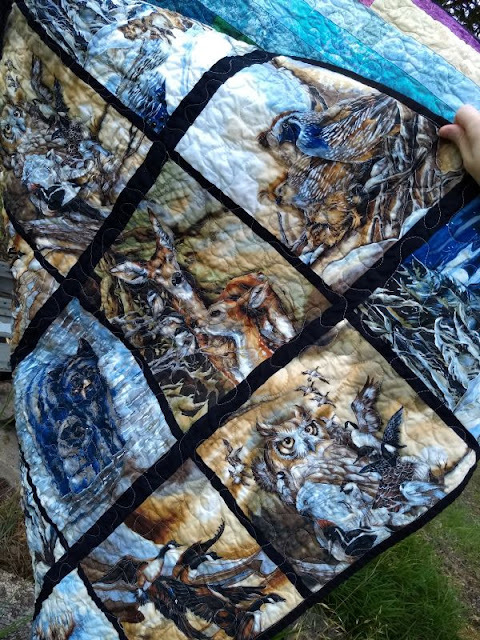 Thanks for sharing all the inspirational quilts today! You're so right about perfection being overrated! As Angela Walters says, "Finished is better than perfect." 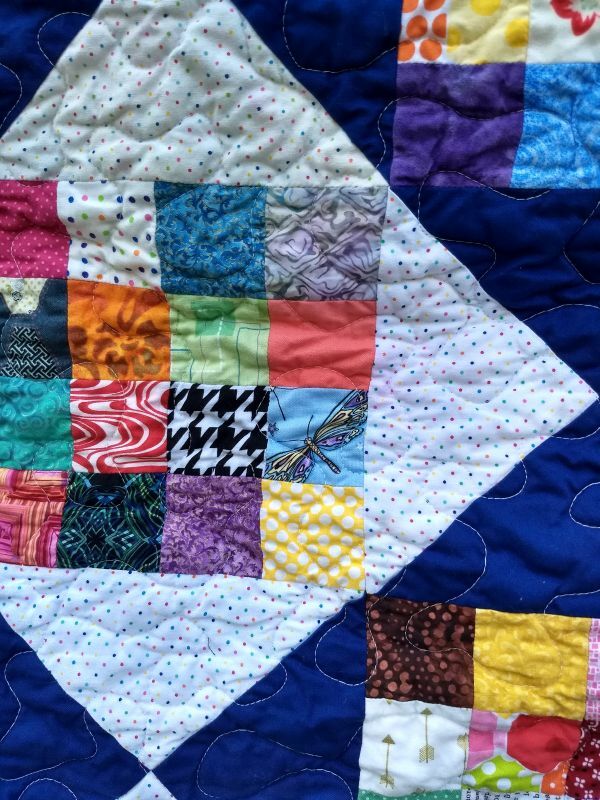 That special scrappy quilt will arrive just in time for just the right family because you didn't rip out all the quilting to "fix" it. It's beautiful! 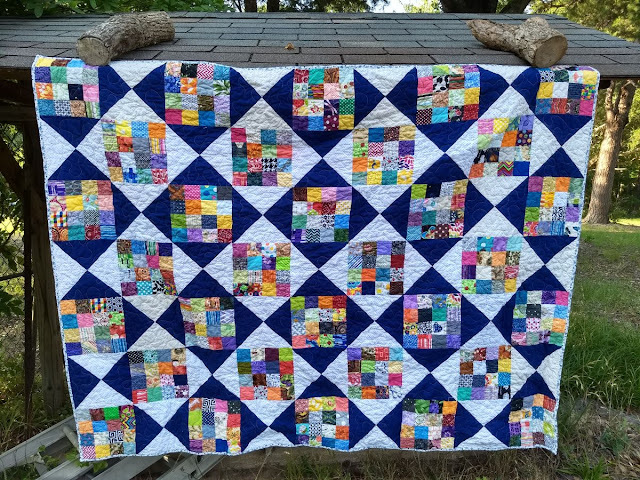 I really, really love that jelly roll race quilt! Wonderful colors! Two great quilts. 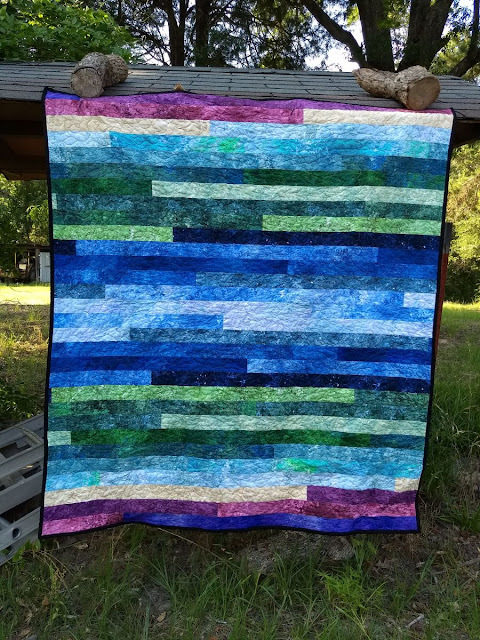 I don't usually like jelly roll race quilts, but this one is beautiful. The batiks really give it depth. 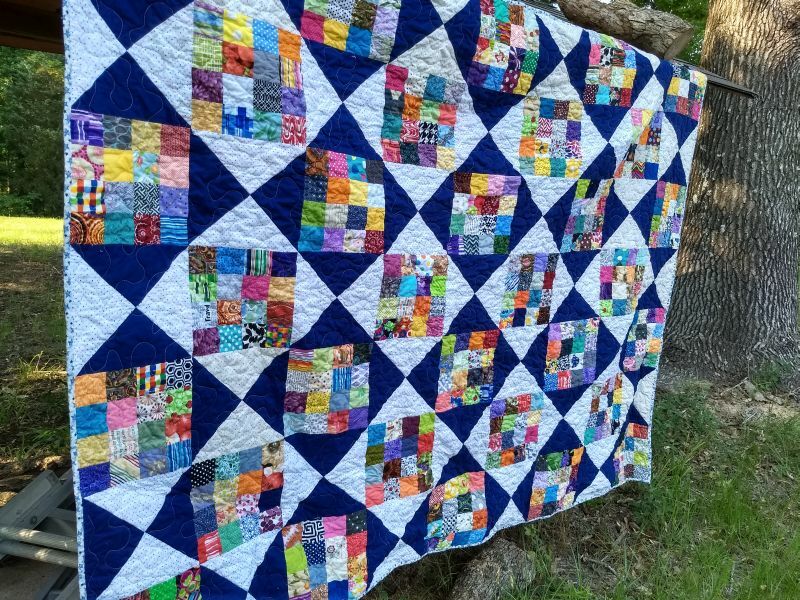 It's wonderful to see the beautiful quilts and fabrics people donate. It may be a quick stipple, but it works great with so many different styles of quilts. It would have taken a long time to find the mistake without an alert--it took long enough with it. LOL. I like that way of unifying scraps a lot. 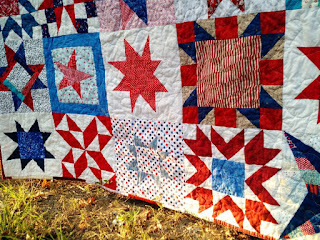 And the strip quilt looks good too. It does show off the fabrics well. Beautiful quilts! I'm sure they will be loved.